Kaynak Transferred from en.wikipedia to Commons by Sreejithk2000 using CommonsHelper. Üreten The original uploader was Primalchaos at İngilizce Vikipedi. 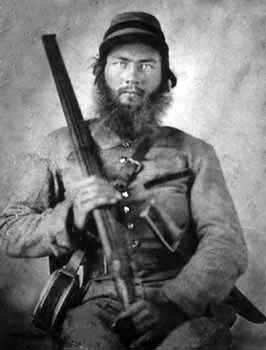 2005-08-17 16:13 Primalchaos 266×350× (9739 bytes) Confederate cavalryman with shotgun.